"Honor the Lord with your possessions and with the first fruits of all your increase; So your barns will be filled with plenty, and your vats will overflow with new wine" (Proverbs 3:9-10). I would like to honor the Lord by giving Him the first fruits of my time, fiances, and most importantly my heart's devotion. I truly believe 2019 is going to be a tremendous year of massive harvest and fruitfulness, none like we have ever seen! Therefore, I am calling for a church fast and time of prayer beginning Sunday, January 6 and concluding at midnight on Saturday, January 26. Please read through the attached list of prayer petitions and fasting instructions the Lord has placed on my heart for 2019. As we have in the past, we will call this sanctified time, 21 Days to Breakthrough. We will celebrate it with communion on Sunday, January 6 and will end it with communion on Sunday, January 27. Everyone is encouraged to participate. The church building will be open from 6 - 7 pm daily for corporate prayer with the exception of Saturdays. Saturday corporate prayer during this 21 Days to Breakthrough will be at its normal 8:30 - 10 am time. Remembering the 3 disciplines of discipleship of giving, praying and fasting Jesus taught us in Matthew chapter 6, we will conclude this 21 Days of Breakthrough by taking a special "First fruits" offering at our Annual Church Family (Congregational) Meeting, and Luncheon on Sunday, January 27. I would encourage you to seek the Lord on what He would have you sow into this special, consecrated offering. "Oh, give thanks to the Lord, for He is good! for His mercy endures forever! (Psalm 107:1). "This was the Lord's doing; it is marvelous in our eyes" (Psalm 118:23). If you need help defining your purpose and your direction in these trying times, come and hear a fresh word from the LORD! Pastor and Prophet Hank Kunneman will share on how the LORD is opening up the heavens in these last days in order to deliver the finishing touches on each of our lives. Childcare from infant to age 5 will be provided. Admission is free. For more information, please call River of Glory Church at 507-288-2591 or email: info@riverofglorymn.org. UPDATE: Due to illness, Pastor Kunneman will not be able to minister for this event. We will be rescheduling Pastor Kunneman in the very near future. However we are blessed to have Pastor Duane Arneson from Cornerstone Church in Sioux Falls, SD ministering in his place tonight. Please join us for a night of worship, prayer and the Word. 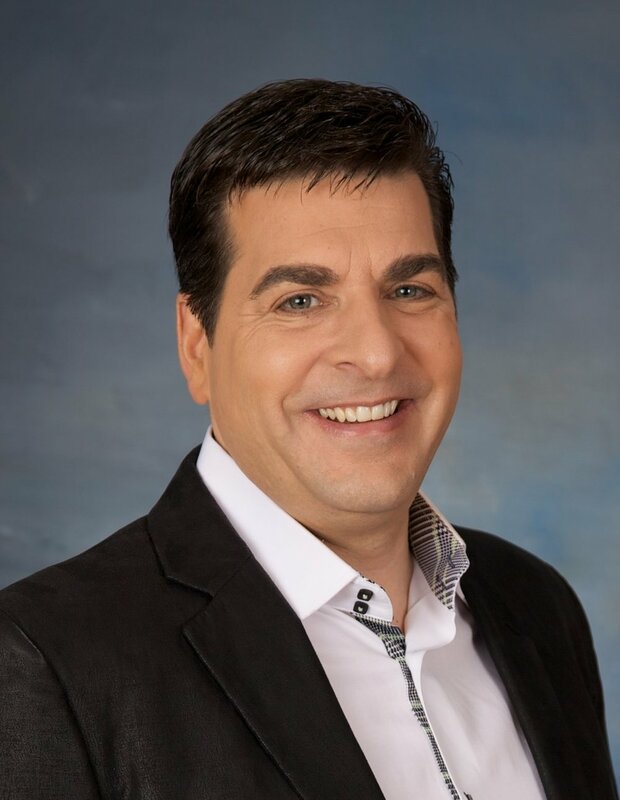 HANK KUNNEMAN is the senior pastor of Lord of Hosts Church, a thriving church in Omaha, Nebraska, and founder of One Voice Ministries. As an uncompromising voice that God is using to stir up the body of Christ, he is known for a strong prophetic anointing as he preaches. He travels and ministers extensively as he and his wife, Brenda, preach together at conferences, churches, and national television programs throughout the United States and overseas. Known as a ministry team that share the platform in a unique way, they are seeing lives changed through the prophetic word and ministry in the Holy Spirit, coupled with a balanced and relevant message. Together, the Kunneman’s also host their own nationally and internationally televised weekly program, New Level with Hank and Brenda, airing on Daystar Television Network, Victory Television Network, and Faith Broadcasting Network. Their church services are also watched world-wide via live stream at hankandbrenda.org. Pastor Hank has also authored several books including Prophecy with the Wind of God in Your Mouth, My Heart Cries Abba Father, The Revealer of Secrets, Don’t Leave God Alone, and Barrier Breakers. For more information about Pastor Hank and One Voice Ministries, go to http://OVM.org. Pastor Billy and Prophet Cynthia Thompson will be speaking at River of Glory Church on Saturday, March 3, 6:30 p.m. and Sunday, March 4, 10:00 a.m..
Pastor Billy Thompson is "America's Champion for Change." Billy exudes a peaceful, confident spirit that easily engages youth and adults alike. Known as a fierce competitor throughout his basketball career-from his days of being a High School All-American to winning championships with Louisville Cardinals, the "Showtime" Los Angeles Lakers, the Miami Heat and Hapoel Jerusalem - Isael Basketball League; Billy Thompson knows what it takes to win and to be a champion! As tenacious as he was, "bangin' in the paint and slam dunkin'" for his championship basketball teams, he presently has a new mission. As Chaplain for the world champion Miami Heat he inspired people to greatness as he travels across the globe "throwin' down" speaking to youth, leaders in both the corporate and faith based arenas as well as anyone that steps on to his "home court" in Boca Raton, Florida. Prophetess Cynthia Thompson is a multi-talented entrepreneur, teacher, speaker, life coach, conference facilitator, and spoken word Author. Her voice and prophetic anointing are used by God to chasten, correct, convict and inspired. She is called to impart and activate gifts of the spirit in order to raise up strong prophetic ministry gifts in the Body of Christ. Anointed with a true apostolic and prophetic call, her desire to impact the world by restoring, perfecting, building and training believers to fulfill their destiny. She is a world traveler, who recognizes the cry of God's heart for holiness, integrity, sincerity and consistency. With a tremendous and consuming mandate from God to establish His kingdom, she endeavors to raise up an army of end-time prophetic people to carry the sound of God across the nations enabling the church to not only understand the prophetic but to utilize prophetic people in a manner whereby the church operates in its fullest power and authority. Come join us for these to supernatural, powerfilled services. For more information, you can call the church office at 507-288-2591. SATURDAY, FEB. 17, 6:30 P.M. & SUNDAY, FEB. 18, 10 A.M.
Prophetic Evangelist Joseph Ngahlem will be ministering to us in two services: Saturday, February 17, 6:30 p.m. and Sunday, February 18, 10 a.m. Brother Joseph ministers with Revival Fellowship, a ministry that conducts bi-weekly revival meetings in Lancaster, Wisconsin and teaches on the power of the Holy Spirit and the Word of God. Originally from Cameroon, Africa, Brother Joseph lives with his wife, Andrea, and their three sons in Boscobel, Wisconsin. River of Glory is pleased to be hosting Pastor Adam Tice on May 6 and May 7. Pastor Tice is on staff at King Jesus Ministry in Miami, FL. He an awesome man of God and a faithful son of Apostle Guillermo Maldonado. He has traveled worldwide with Apostle and on his own and has personally witnessed the wonderful saving, delivering power of the Gospel of Jesus Christ! He has personally prayed with many and have seen miracles, signs and wonders. He has even prayed and seen the dead raised back to life! Having a personal encounter with God where God has revealed His Fatherhood to him, God supernaturally uses him in ways that now transforms nations where he ministers. Just coming back from India and Ethiopia, there are testimonies from the Apostles of these nations still coming in of how lives were transformed and supernatural growth in their churches has been realized after Pastor Adam shared this amazing liberating message! You do not want to miss it! This day's meetings are intended for ROGC Regular Attenders and Church Members. Pastor Adam will minister on deliverance and lead those in attendance in a group deliverance. When that session concludes we will break for a quick lunch that will be provided by the church. We will come back for a session 2 which will be a training and impartation of the spirit of the vision. All church leaders are strongly encouraged to attend this day's meetings. 10 AM - Worship Service - Pastor Tice Ministering - INVITE Friends and Family! 6 PM - Worship Service - Pastor Tice Ministering - INVITE Friends and Family! These meetings are so timely and are part of the preparation the Lord has for us in this season of supernatural increase. I am extremely excited and am anticipating an awesome move of the Spirit during this weekend! I declare your life will be changed and transformed by the Glory and Power of our Lord as you make the investment to participate in these services. Evangelist Bruce Van Natta returns to River of Glory Church for a weekend of services, imparting a powerful testimony and a time of supernatural ministry. Brother Bruce has been sharing his life-changing testimony, “Saved by Angels”. He founded “Sweet Bread Ministries” with the purpose of fulfilling the GreatCommission. Come expecting supernatural ministry. Invite your family and friends, especially those who need the Lord’s supernatural touch and healing. Pastor Billy and Prophetess Cynthia Thompson will be speaking at River of Glory Church on Saturday, August 27, 7 p.m. and Sunday, August 28, 10 a.m.. This generation is hungry and searching for the truth. Broken families, rejection, fear and more have gripped the hearts of youth and young adults in unprecedented ways. Despite it all, God's power is able to heal, restore and deliver. We invite youth and young adults in southeast Minnesota and surrounding communities to come encounter God, be filled with His passion and fire and to embrace His love. Join Ignite Minnesota and Time to Revive at "The Outpouring" on Friday, August 5 at 7 p.m. Your life will never be the same!